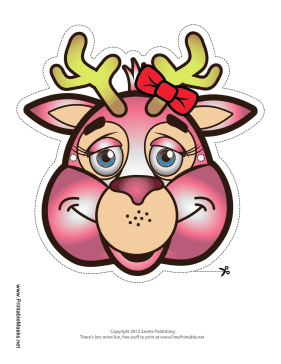 A cute pink deer like this one is perfect for a female deer costume. Her cute nose, blue eyes, and red bow are sure to delight any little girl. This mask is free to download and print.